Immerse yourself in the Daily Editions of The Australian delivered to your iPad and iPhone every morning. Enjoy our easytonavigate app that allows you to browse stories just like reading the paper, with interactive features, full screen galleries and video. Subscribers to The Australian have access to Awardwinning journalism news from Australia and around the world leading opinion, commentary and analysis from the most experienced journalists and correspondents Marketleading business coverage The Australian Business Review each day in The Australian includes comprehensive coverage across every sector Companies and Markets, Financial Services, Commercial Property, Business Gossip, Mergers & Acquisition Dedicated weekly industry coverage Media, Higher Education, Legal Affairs and Aviation ‘Editor’s Picks’ Specially curated news and commentary from the Editor Enjoy your downtime lose yourself in The Australian’s magazines and sections, including The Deal, and The Weekend Australian Magazine Challenge yourself Mind Games gives you daily crosswords from The Times and Sunday Times plus, Sudoku puzzles and the daily general knowledge quiz Browse online, offline, anytime Browse a whole week of editions, including magazines and sections. Subscribe via iTunes for apponly access for $22.99 per month, recurring, and receive your first month If you are an existing subscriber just log in with your existing username and password. Please note This App supports iPads & iPhones on iOS8 and above. NB Please be advised that with the release of Version 5.0 and our improvements to the Digital Print Edition platform (iPad only) user's archive of Digital Print Editions will no longer be available to view. Check these links to find your download for The Australian for & iOS or for your device iPod TouchiPadiPhone. 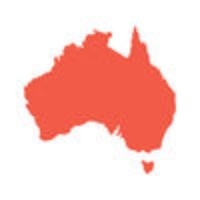 The app The Australian is compatible with te following devices.